I drew a map all night long, to make it easier for a layman understand what is a 3D printer, what the working principle is, and what types of 3D printers there are. I hope you will have a “wow, it’s just like that” after reading the article. In fact, although there are numerous brands of 3D printer, the working principle is the same in nature. What is the working principle then? Let’s first have a look at the traditional ink jet printer that prints on paper. As we all know, what paper printer prints is planar image. Digital image is a pure color “pixel” piecing together after amplification. 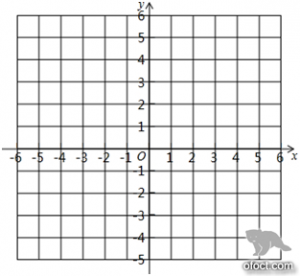 Each coordinate point marks one color value for storage. Figure Pixel For those with intensity phobia, please quickly turn to the next page. In other words, if we have a “spray-head”, that can freely move on one plane, pixels are injected from on the coordinate system, then printing work is done. Therefore, this appears. To help you understand, I made some simplification when setting the model. First, what we need most is the spray head. It sprays out “pixel” one by one. Now, let’s take a look at what is a spray head. 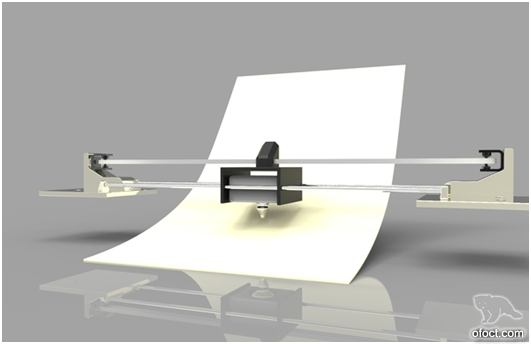 Paper can be brought down by a roller, which completes Y axis movement. 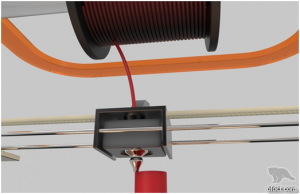 The little spray head in the middle moves horizontally, and completes X axis movement. In this way, a plane picture is printed out. Yet, how does the little spray head in the middle move? Yes, this with a scientific name of synchronization belt is what we commly called toothed belt. Once it is matched with toothed gear, it can perform free transmission. 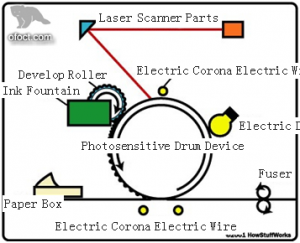 Sensitive equipment, such as printer, requires toothed belt as transmission device, in general. Some people say, why are you talking too much nonsense? I only want to hear about 3D printing. Just wait a second. Let’s see. The carrier of plane printing is paper. Plane printing use “paint” to spray. If we are to print something three-dimensional, actual materials must be used in 3D printing. Here, comes the magic key. 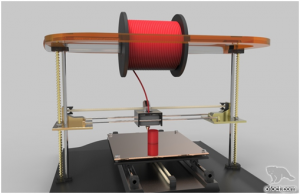 In other words, what we normally see in 3D printer, printing material changes from ink to “thermoplastic plastics”. What is thermoplastic plastic? 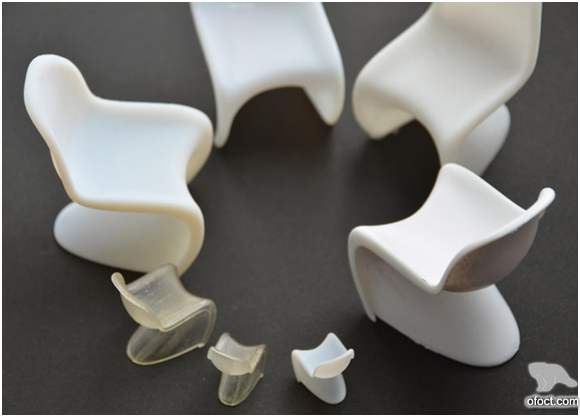 Thermoplastic becomes soft once heated, and turn to its original form when cooled down. 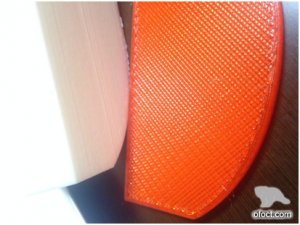 The most commonly used 3D printing materials are ABS and PLA. ABS is an extremely common synthetic plastic. Its nature is A (acrylonitrile), B (butadiene), S (styrene). Just forget it. PLA is also called polylactic acid. Its melting point is very low. 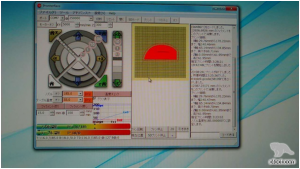 Basically, fusion processing can be conducted at 185°C. 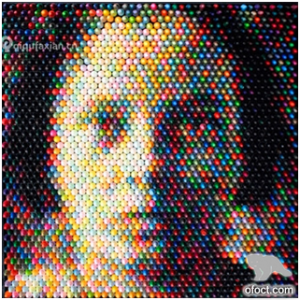 Therefore, it is the most commonly seen printing material. But, why is this material similar to woolen yarn wire rod? In fact, it’s simple. If you place plastics (granules) in flaming spray head, in less than two minutes, the spray head will be blocked. Only wire rod can be “steady”. As we have the material, now we only lack carrier. Let’s add a small steel plate. Figure When setting the model, I added a small steel plate as shown in above figure. Small steel plate cannot be transmitted in the way like paper by roller. Hence, we add a “synchronization belt” under the small steel plate, to conduct Y axis transmission. Now the platform is set. 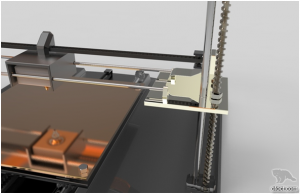 X axis and Y axis can move freely. Small spray head can freely move to any position on the small steel plate. Only one factor is lacking in three-dimensional printing, the Z axis. Figure Here comes Z axis, the spiral thick stick in above figure. 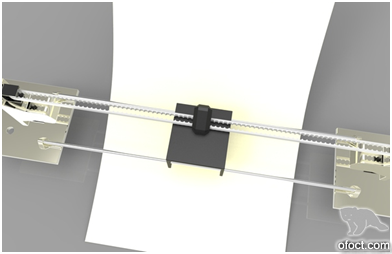 On the spray head arrangement that can move on X axis, we can add a “magic key” in mechanics. That is “threadlike thick stick”. We can comprehend threadlike thick stick as a big screw. A nut connects a threadlike thick stick. Once the threadlike thick stick is driven by the electric motor to spin, the spray head can move up and down freely. The spray head is no longer a common spray head. It can move freely space. Let’s have a look at the effects figure. 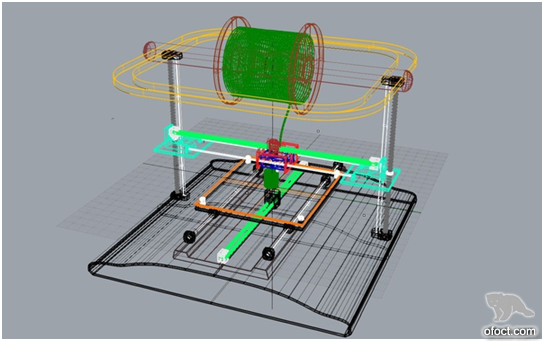 This is the fundamental transmission structure for 3D printer. It is not complicated. In nature, it is just a spray head that can move freely in three axes. Okay. 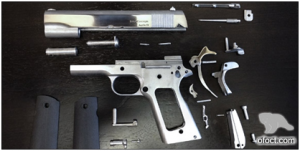 Let us now load the bullet (raw material), and see how it works. We found that 3D printing, in nature, is to melt thermoplastics, spray out thinner “thread” by spray head, and layer by layer, spraying continue, and the layers overlay. Essentially, 3D printing is merely a combination of “plane” layer by layer, which in turn, form a three-dimensional thing. 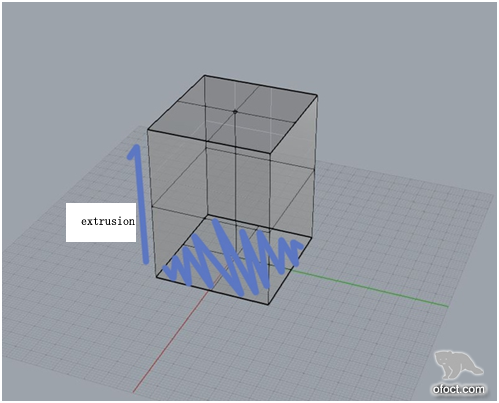 Figure Use software to simulate 3D printing principle. Figure These are some of the articles printed by low precision 3D printer. 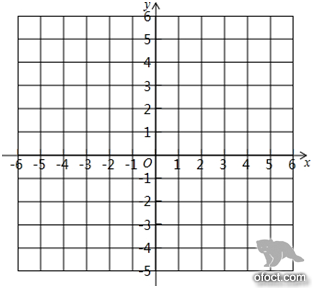 We can easily distinguish the layers and supporting lines one by one. Under most circumstance, such precision is sufficient. As we all know, to print a plane picture, a JPG picture is enough. Then, in 3D printing, what kind of “doc” do we use for printing? Figure In fact, the metal glowing printer that you just see, is applied by this thing. 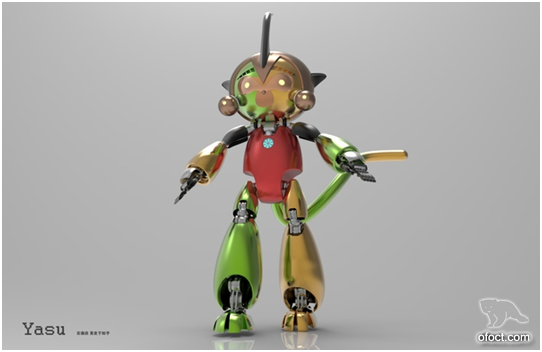 This is common software used in industrial design and architecture – rhino. 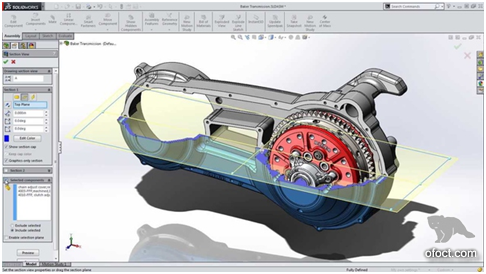 Also, solidworks is a common modeling software for parts manufacturing and assembly. There two are more or less inclined to engineering course. 3DMAX and Maya, as you are all familiar with, are modeling software that possess more artistic usage. The modeling principle of these software are not entirely the same. At core, it’s all planes form three dimensions. All “three dimensions” in the world are “piled” by planes in nature. Therefore, the working mode of modeling software is likewise. Almost all modeling software around the world has one most fundamental command, that is, extrusion. 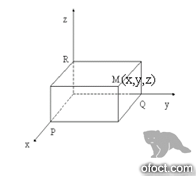 Figure The extrusion process of using one plane to stretch on Y axis. Figure More complex solidworks assembly parts. Figure This is a monkey that I made. I wish I have the time to print it out. 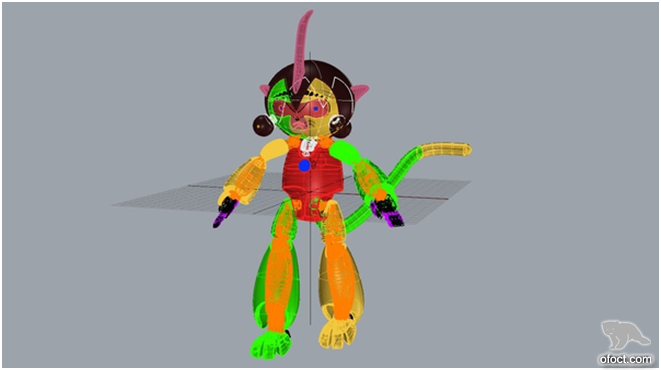 Before applying colors, the monkey is like this. Figure The monkey before applying color. 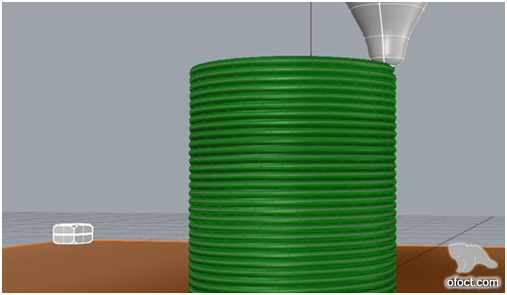 Hence, to complete a 3D print work, modeling is the first step. As I’m not an art major, my modeling skills cannot match those animation master, I am okay in modeling some industrial parts and product shells. 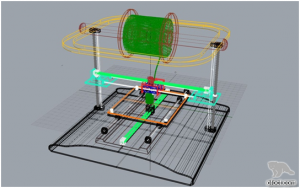 Regardless of Rhino 3DM format, 3DMAX max format, or DirectX etc., we all can save our software in STL mode, which is applicable to 3D printing. Okay. The next step is to import SLT mode file into drive software, and then we can start printing. 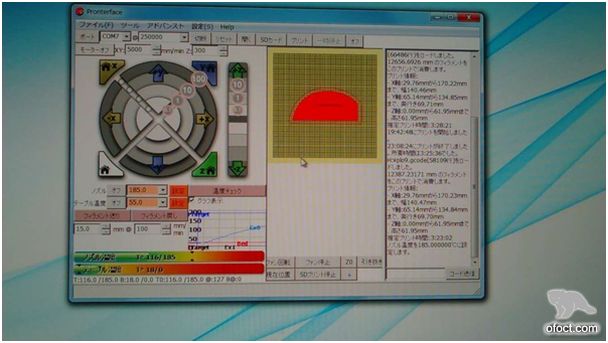 Figure PLA printing low precision 3D printing drive software. We can see the various parameters in printing. And as I said at the very beginning, we can use the round panel above to debug the movements of X, Y, Z axes, and use the button below to control temperature. Actually, this is how it looks at completion. 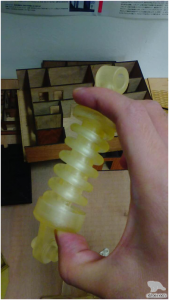 We can use this physical figure to see the inside of 3D printer, which is similar to my model setting figure at the beginning with more disordered wires. Okay. The above is the fundamental low precision 3D printer working principle and work flow. No rush. It’s not done. 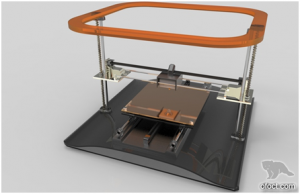 Let’s have a look at high precision 3D printer in other models in the world. As we all know, for today’s plane printer, in addition to ink jet printer, there are laser printer, electrostatic printer, etc.. 3D printer, as well, adopts the same working principle as I described before, though its name is a bit glamorous. Let’s now talk about plane printer first. 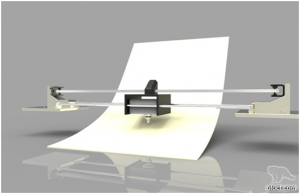 Take plane laser printer as an example. In nature, it transmits beam “image” to static “image” via toner cartridges, selectively “solidify” a whole piece of powdered ink, and prints it on paper. It’s okay not to ponder on this. To put it in a simple way, one is a prayer free move for ink solidification, and the other is laser static selectively solidifies in the sea of ink powder. 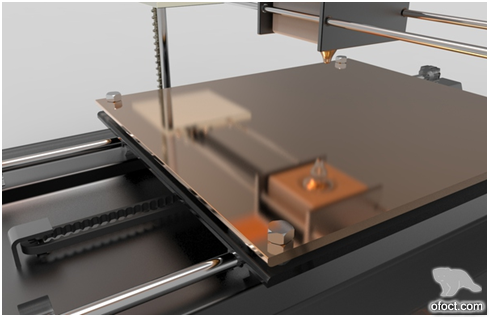 Therefore, besides layered thermoplastics 3D printer discussed above, there is another high precision 3D printer with similar principle with plane laser printer. The other name for such printer is SLA. Actually, there is a friend of thermoplastics discussed before, called “thermosetting plastic”. In normal condition, this kind of plastic may possibly be liquid. Once heated or under strong light, or with catalyst function, it will solidify. Such plastic then can no longer be re-utilized for thermoplastic. In other words, it keeps one form for a lifetime. As we can see, this kind of printer selectively solidify thermoplastic “sea” via laser beam, and conducts higher precision printing. In nature, it working principle is still first X, Y plane formation and then Z axis layer by layer printing mode. 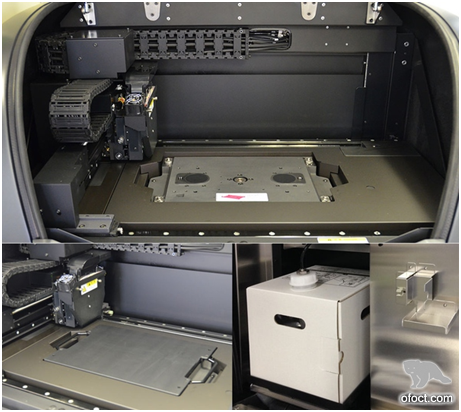 Of course, there is another SLS (Selective Laser Sintering) 3D printer that possesses similar working principle with this printer. 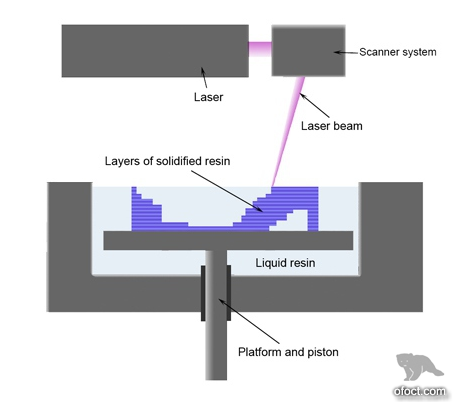 The printing mode of SLS is called – selective laser sintering. This is a kind of high precision 3D printing. It changes liquid above to power material. Via laser, powder sea is selectively melted. In fact, it’s a bit similar to plane laser printer. In nature, 3D formation stays the same with the mode described above. 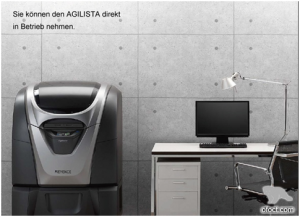 SLS printing mode can already be applied in metal 3D printing. It is a significant progress in 3D printing. Okay, let’s display the works of high precision 3D printer that we talked before. Figure AGILISA, a pretty good high precision 3D printer in Japan. Figure The internal structure of this printer. It can be observed that all transmission devices are of better precision. Figure Solidworks parts printed by high precision 3D printer. Spring printed with this material is elastic. And such precision is able to handle some medical devices. As a matter of fact, for 3D printing, a saying goes like this – idea in the 10th century, basic technology in 20th century, and market in 21st century. 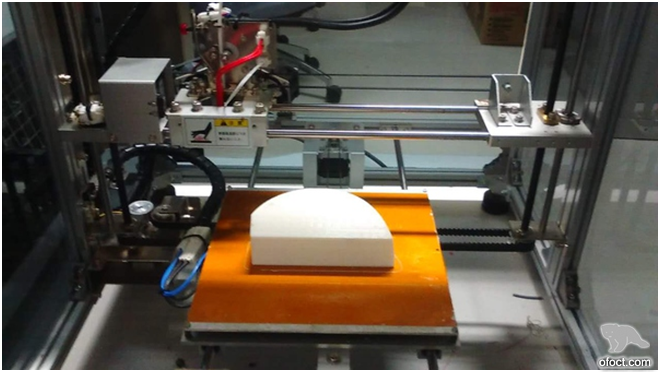 In today’s world where industrial design is gradually progressing and industrial design is developing speedily, 3D printing possesses immeasurable space for complex formation scale production, individualized customization, and macromolecule material processing. 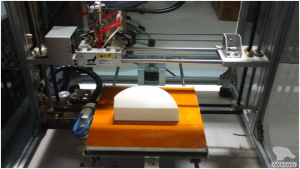 In the 21st century, 3D printing will keep on rapid development. With the efforts of generations of designers and manufacturers, I believe, 3D printing can truly and thoroughly change the world.